US-based brand DSTLD focuses on simple design, superior quality and a pared-down product selection in order to deliver the perfect core wardrobe. The brand is inspired by understated, modern style and a fundamental edited color palette of black white, grey and denim. With Big Apple Buddy’s personal shopping service, you can now buy direct from the DSTLD online store anytime, anywhere. 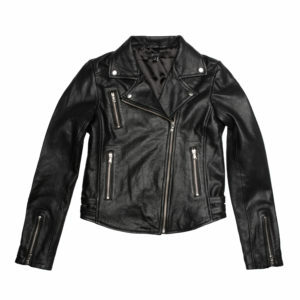 The DSTLD Leather Moto Jacket is an essential to any fashionista's wardrobe. Formed from 100% supremely supple leather and finished with quality hardware and design features, the Moto Jacket is a staple piece that can be styled for every season. 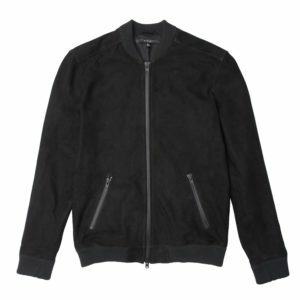 The DSTLD Men's Suede Bomber Jacket in Black is a modern take on this classic style outerwear. A slim fit bomber is the ultimate stylish jacket every man should own. It is an extremely versatile garment that can be worn for a casual or dressed-up look. The soft suede adds texture to this piece, combined with matte black hardware, ribbed cotton trims and a front double zipper closure. 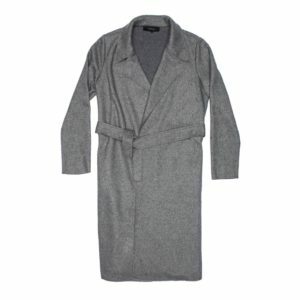 The DSTLD Womens Wool Blanket Maxi Coat combines style and comfort all in one piece. DSTLD has made wearing a robe into a high-style, chic, and collected look. This coat is warm, cozy and can be worn open or tied at the waist to add shape. Roll the sleeves to reveal a dark grey wool lining for added contrast. Unfortunately, the USA DSTLD online store does not currently offer international shipping. However, Big Apple Buddy, your personal shopper, can help you buy products direct from the official USA DSTLD online store and ship them to your doorstep, no matter where you are in the world. We offer international shipping to over 110 countries including Australia, Austria, Azerbaijan, Bahrain, Belgium, British Virgin Islands, Brunei, Bulgaria, Canada, Chile, Costa Rica, Croatia, Czech Republic, Denmark, Estonia, Fiji, Finland, France, French Polynesia, Germany, Gibraltar, Greece, Greenland, Hong Kong, Hungary, Iceland, Indonesia, Ireland, Israel, Italy, Japan, Jordan, Kuwait, Latvia, Liechtenstein, Lithuania, Luxembourg, Macau, Malaysia, Maldives, Malta, Marshall Islands, Mauritius, Monaco, the Netherlands, Netherland Antilles, New Zealand, Norway, Oman, Poland, Qatar, Romania, San Marino, Saudi Arabia, Serbia and Montenegro, Seychelles, Singapore, Slovak Republic, Slovenia, Spain, South Africa, St. Lucia, Sweden, Switzerland, Taiwan, Thailand, the UAE, the UK, Vatican City, and Vietnam. If you would like to buy from the USA DSTLD online store, simply let us know which items you would like to order (by filling out the form below) and we’ll get back to you with a free international shipping quote within 24 hours!